Anyways. 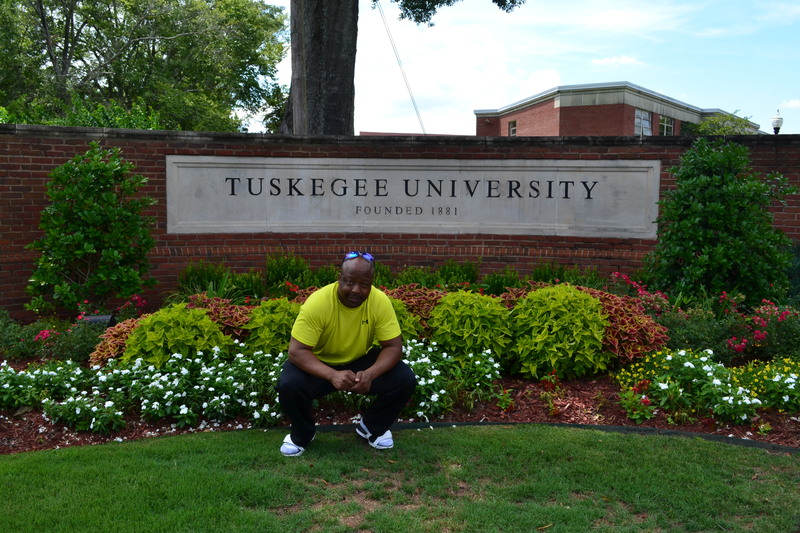 So on our way to the hotel, we made a pit stop at Hampton University’s sister school – Tuskegee University! It was beautiful! Let me explain – Tuskegee Institute (Now University) was founded by Dr. Booker T. Washington, an illustrious Alum of Hampton Institute (now University). It is a historically Black university! It is the only school in the United States to hold a Nation Historic Site designation. It is ranked number 5, in the 2015 U.S News & Word Report Best HBCUs (right behind Hampton University!). And as if the school was not cool enough – educational wise – this year (2015), their commencement speaker was the beautiful and inspiring PhyIicia Rashad (she played Clair Huxtable on the Cosby Show). I only saw a little bit of the school, but I was surely impressed! It was so clean, and the buildings were modern. I really loved being on campus! Everyone we came in contact with at the University was so nice, and respectful. My favorite part would have to be the statue of Dr. Booker T. Washington. 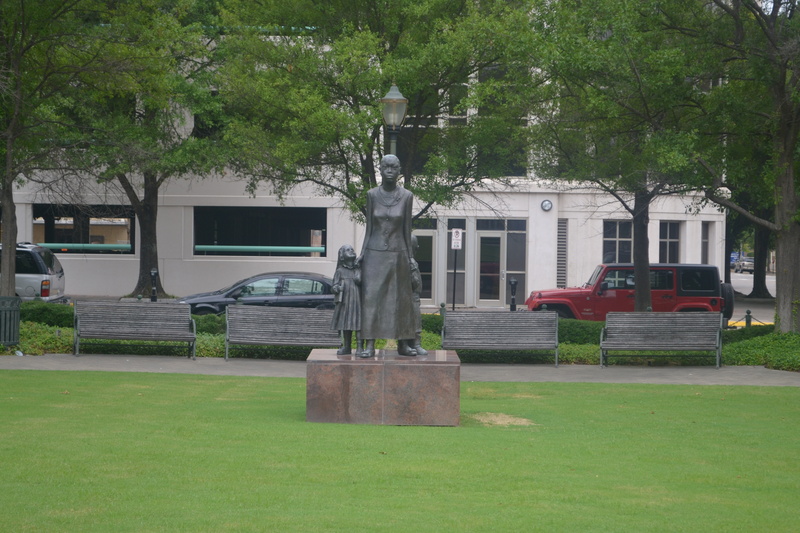 I really loved the statue of Dr. Booker T. Washington lifting the veil of ignorance off of the slave. It was really powerful to me. 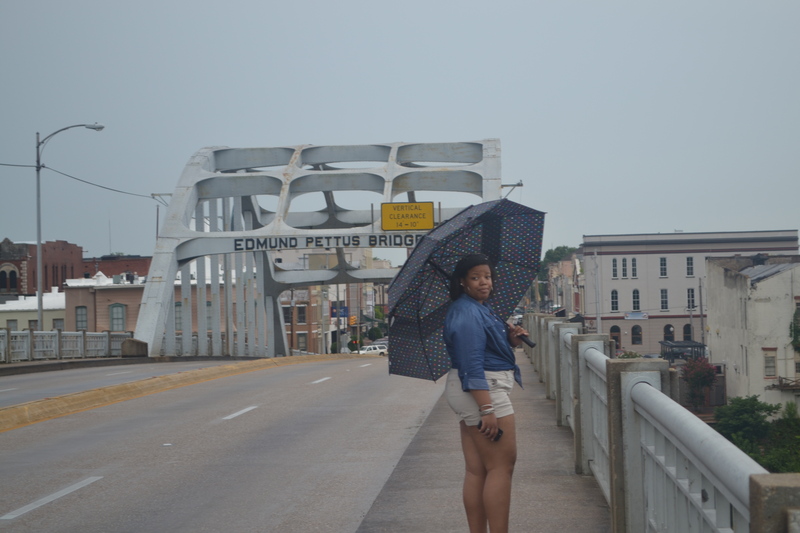 So my father and I first drove over the Edmund Pettus Bridge, and it definitely looked run down like it went through so much. I guess it was foreshadowing to all the history and emotions I was about to experience. To stand in the same spot as Martin Luther King, Jr. stood. 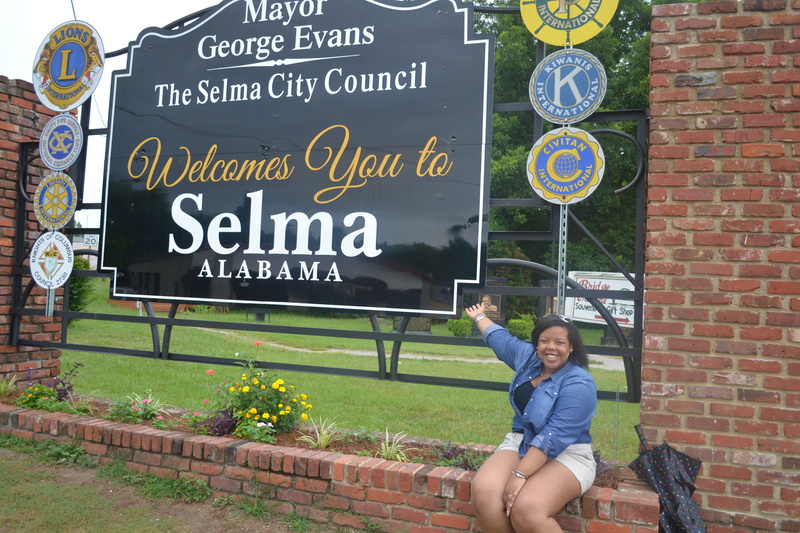 To come over the bridge and see all those police officers, citizens and dogs, waiting to block (at all costs – meaning killing, beating, attacking) the civil rights leaders, as well as a great number of people from marching to Montgomery. It was really overwhelming to me, just to stand there and bask in that history. It took EVERYTHING in me not to just sit down there and cry. You know you always see pictures and heard about these things happening, but to see it in a movie and then actually be there is very gut wrenching. I don’t think I’m a super sensitive person, but it really gets to me. We also went by, well drove by the Brown Chapel African Methodist Episcopal Church, where Dr. King and SNCC held their meetings and a large meeting space for the movement. We had to just roll by because it was raining! But I am super happy I went and experienced being there. If we don’t know where we came from, and what we as a people experienced to get here to this point, we can never really advance, and keep moving forward. We also visited The Dexter Avenue King Memorial Baptist Church. Which was beautiful. 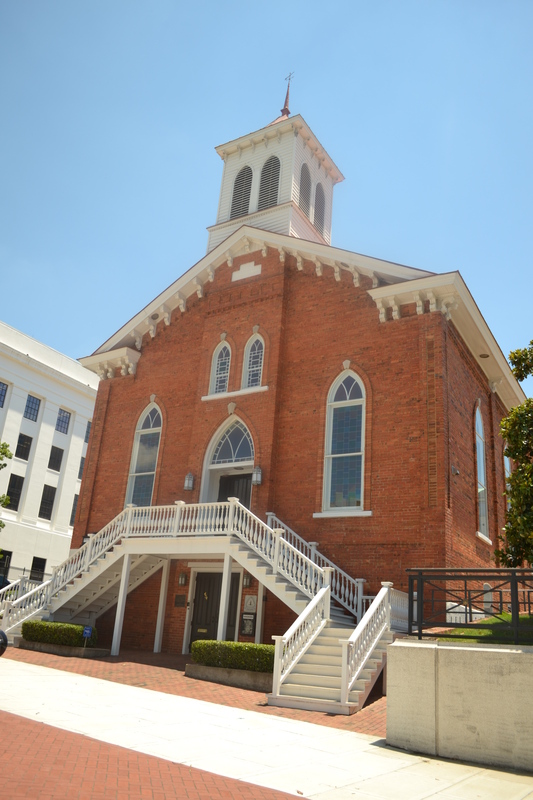 This church is where Martin Luther King, Jr. preached at for a while. It was really nice, and they hold services in there. It was a great chance to just look history in the face. 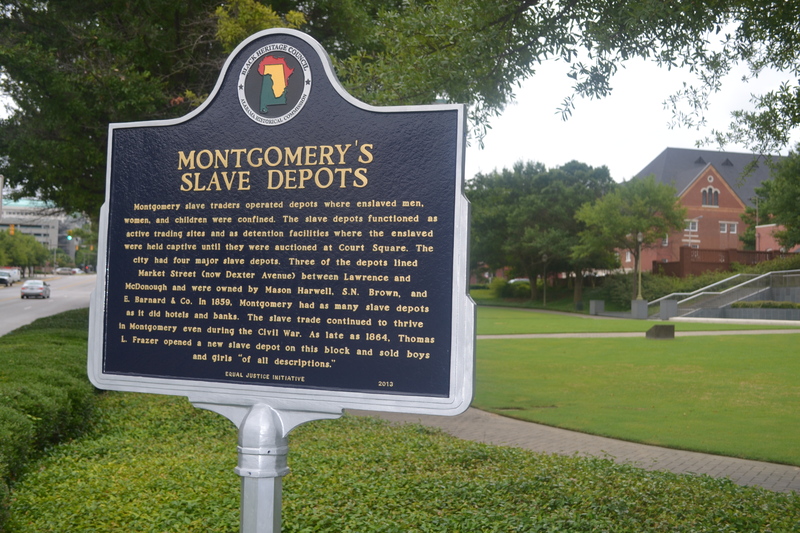 We also saw an interesting memorial where the Slave Depots where held in Montgomery. So the main reason we went was for my boyfriend’s graduation, and it was beautiful! We had the greatest time! The ceremony was really nice – besides all the standing up, seating down, just to stand back up! 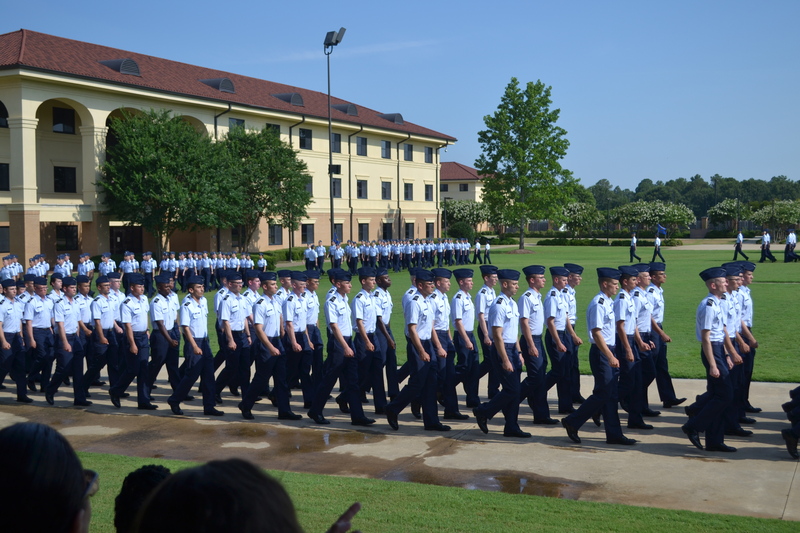 It was kinda hot, so I felt bad for all the guys and girls that were out in the sun marching around. It was nice that they had the all the guests under a covered area, so we didn’t sweat to death either. I was a little upset that I only got to see my boyfriend for like a few hours, and then he had to go back. I wish we could’ve had the entire day to spend together, instead of just 3-4 hours. 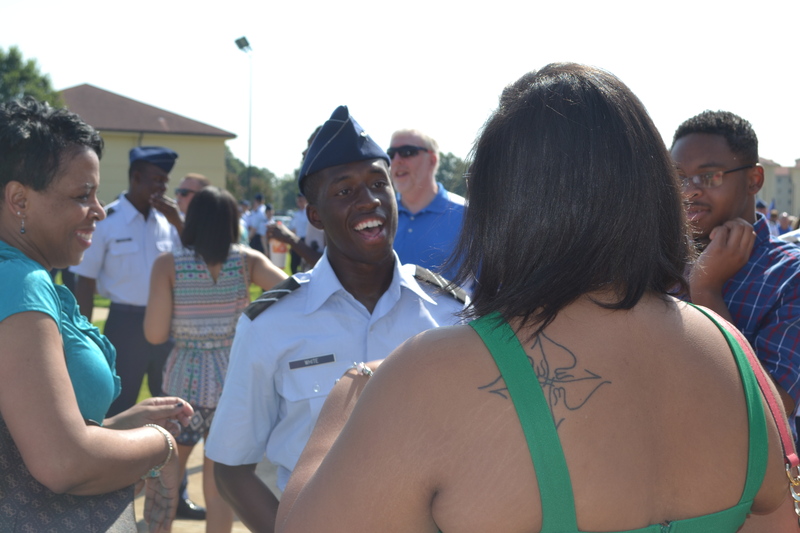 Then we couldn’t even take him off base to go to eat somewhere nice, we had to stay on base. I was kinda annoyed, but I am happy I got to see my boo.